Last night E! 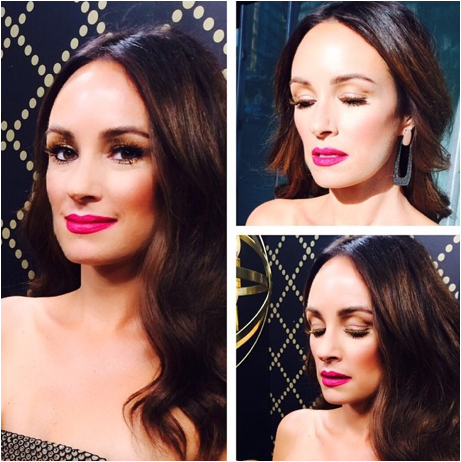 News Correspondent Catt Sadler at the Primetime Emmy Awards wore custom LashDip 24K GoldDip Highlighted Sable and Fox lashes. The LashDip Total Lash system is comprised of a professional line of lash enhancement products, applied by trained and Certified LashDip Artists, as well as an award-winning collection of retail cosmetics. The professional treatment begins with the gentle application of baby-fine silk inserts to add length and volume to the natural lash line, offering restorative benefits for sparse, brittle lashes. Next, LashDip’s original semi-permanent mascara coats and seals accentuated lashes creating flawless definition that lasts about a month. LashDip is available at the Jose Eber Salon in Beverly Hills 360 N. Camden Dr. Beverly Hills, CA 90212 (310) 858-4000) and by appointment only in New York City. President and Director of Innovation, Gina Mondragon and her team work to deliver original product innovations, adding versatility and variety to LashDip’s professional line of eyelash embellishments. The 2014 collection includes and exciting array of avant-garde professional lash accessories such as colored inserts, utilized to create patterned looks inspired by peacock feathers, foxtails, and an inferno. LashDust, which creates an iridescent shimmer at the tips of lashes, and GoldDip --a 24 karat gold coating --join LashDip’s star-studded line up of customizable accessories. LashDip is revered by top industry authorities for its sophisticated technique and lasting results. 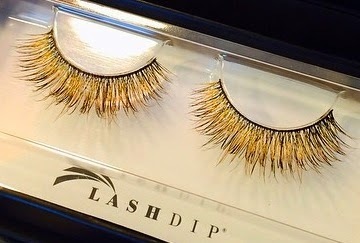 LashDip’s trademark, semi-permanent mascara spurred a beauty revolution upon its debut in 2010 winning Best Beauty Innovation by ‘The Today Show.’ Recently, LashDip made national headlines for adorning Tessanne Chin, winner of season 5 of ‘The Voice,’ in a coat of 24 karat GoldDip lashes for the Grammy Awards. With no end in sight for the mavericks behind the brand, LashDip continues to revolutionize the lash enhancement industry with state-of-the art lash designs. For more information please visit, www.lashdip.com.